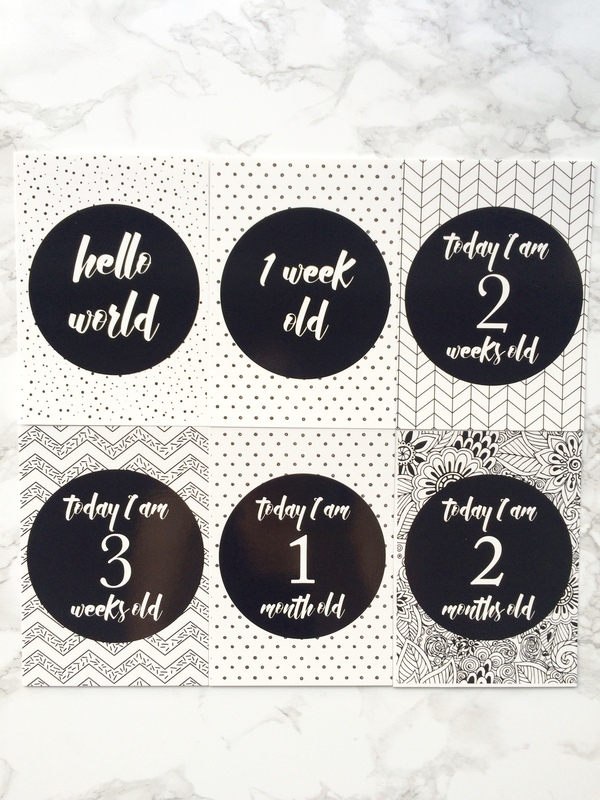 Who doesn’t love a bit of Monochrome!!! 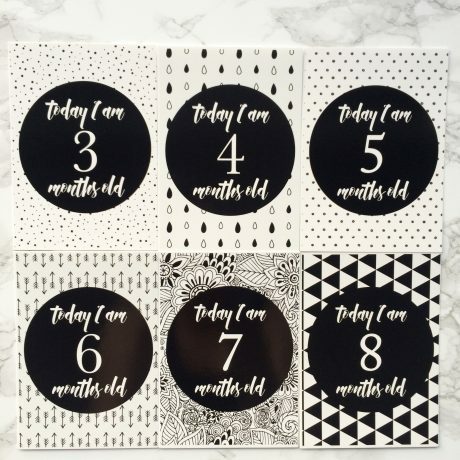 These awesome monochrome baby milestone cards make the perfect photo prop for all your baby’s keepsake photos. 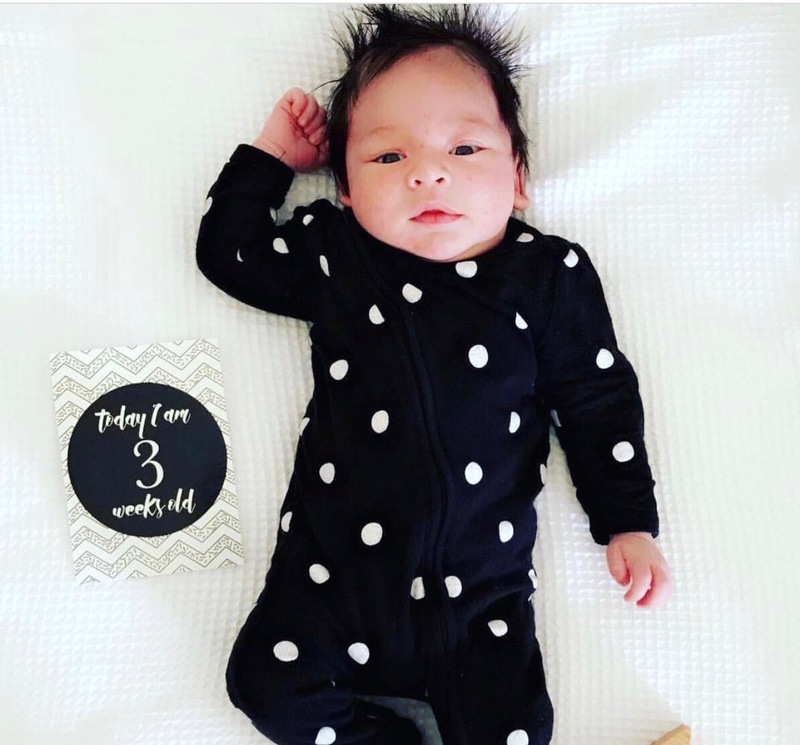 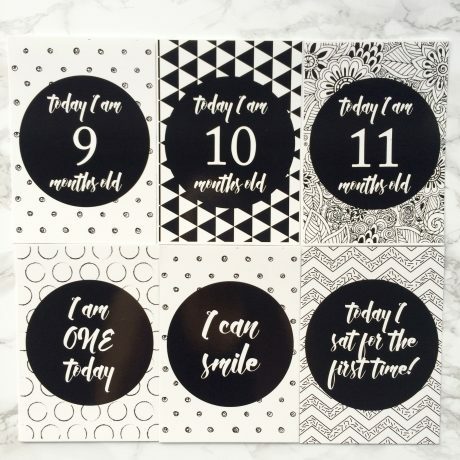 So when your little one has reached a milestone simply take a photo of them with the appropriate milestone card, and have fun capturing their precious milestone. 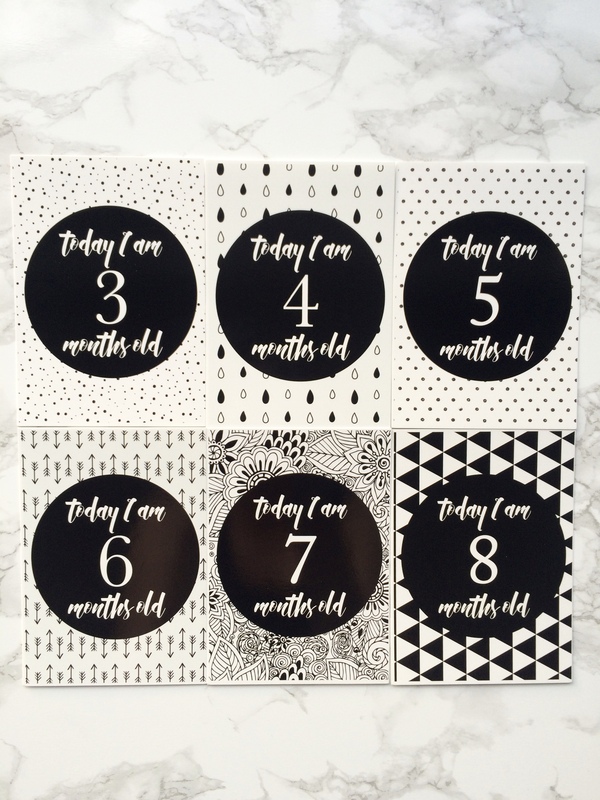 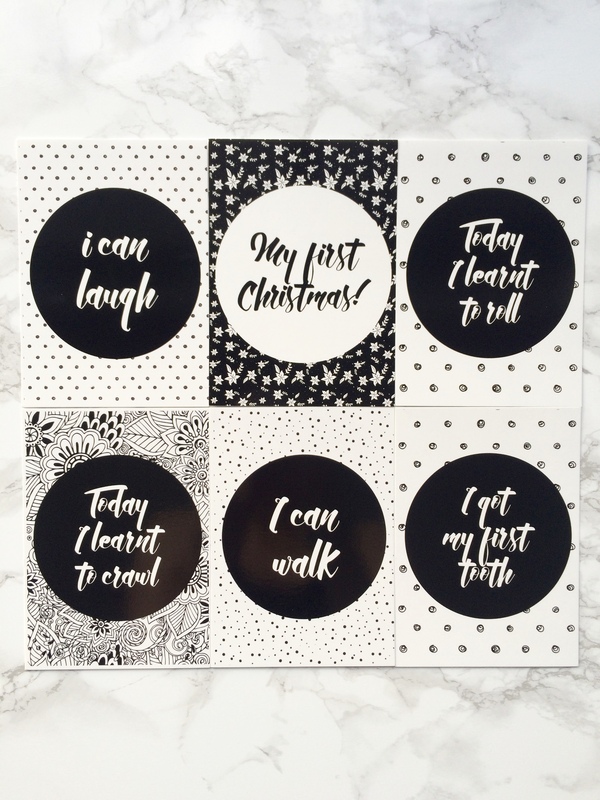 These baby milestone cards have been designed by the talented Tammy from The Lilybug Project right here in New Zealand. 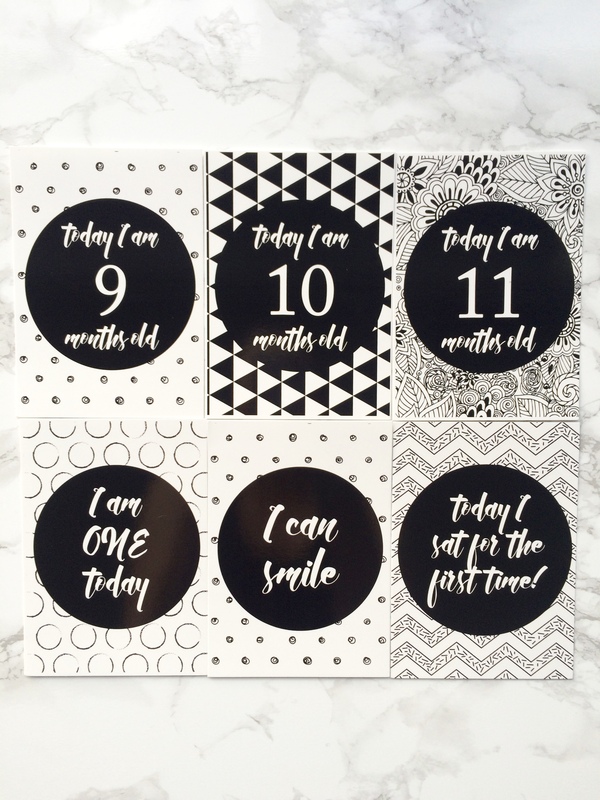 Each pack comes with 25 cards which are printed on quality card stock and are A6 in size (10.5cm x 14.8cm). 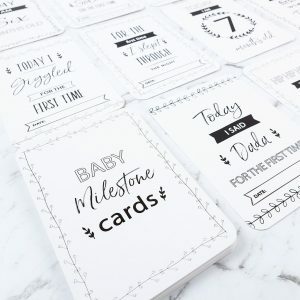 Baby milestone cards really do make the perfect baby shower gift or a special gift for a new mum. 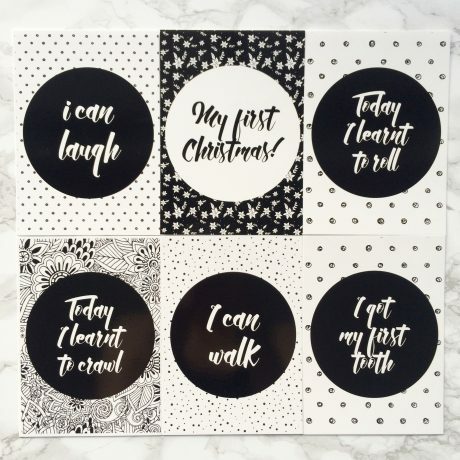 Designed and made in New Zealand by The Lilybug Project. 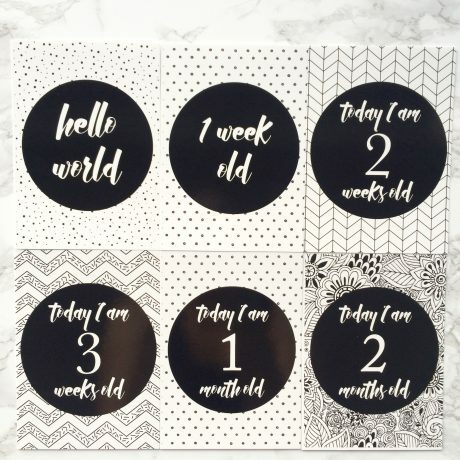 Baby image credit – Jenna O: Please do not reuse. 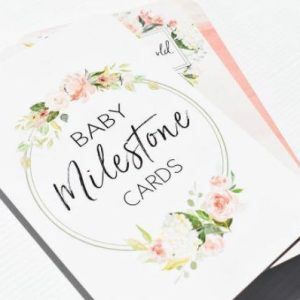 We also have fantastic range of baby memory books at Little Hugs which you can view here.